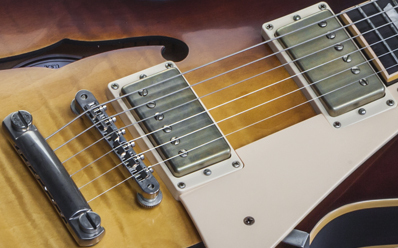 The perfect marriage of Les Paul and ES-335 yields powerful tones and a lightweight playing feel. 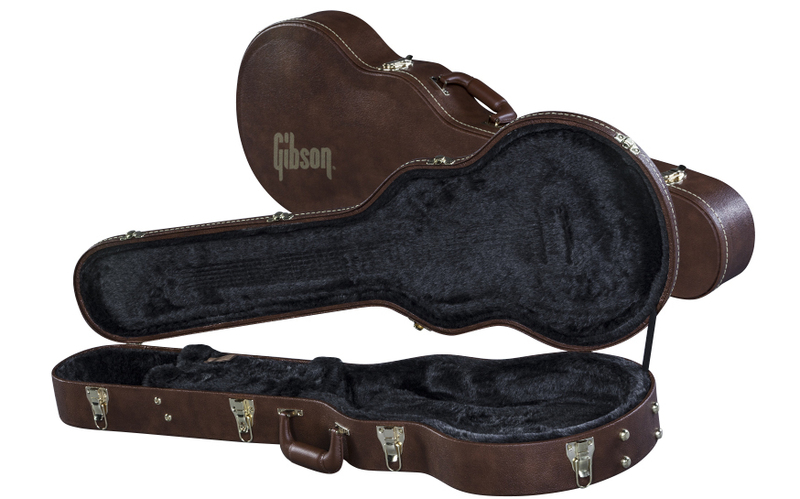 Features include a figured maple top, maple back and rims, cream-bound rosewood 'board with pearloid trapezoids on a mahogany neck with a 1959 neck profile, rolled binding for a played-in feel, PAF-style MHS pickups, and an F-Hole engraved truss rod cover. 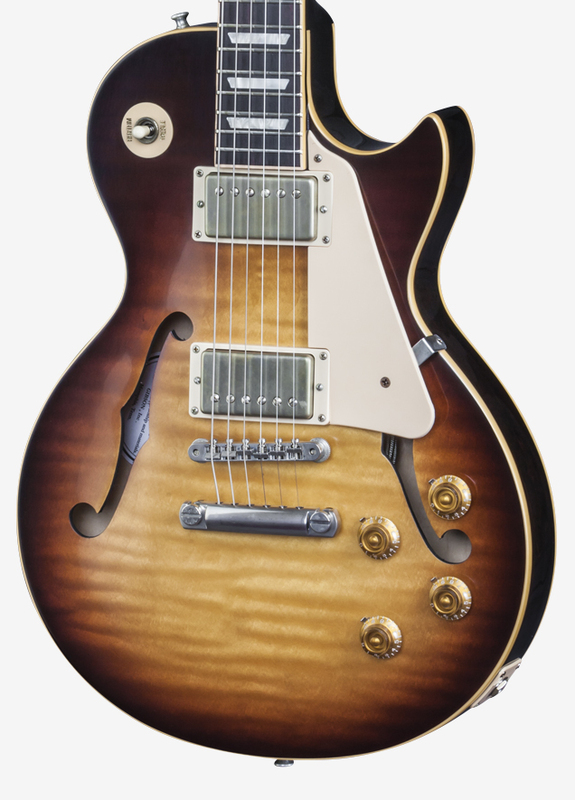 The ES-Les Paul '59 Neck is the ultra-lightweight answer to a 1959 Tobacco Sunburst Les Paul, only with the added bonus of having ES-semi-hollowbody construction! 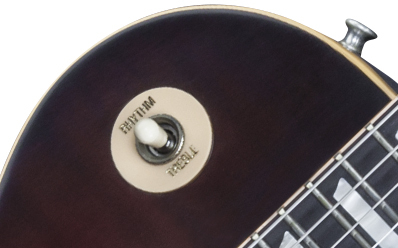 Killer tone never came in a more comfortable and accessible package. 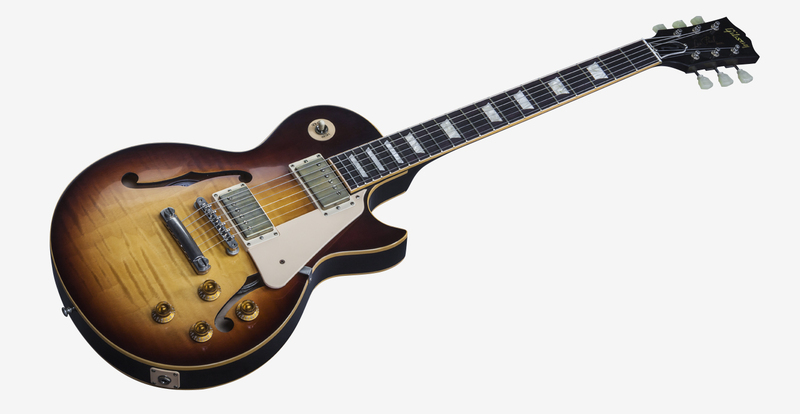 Only 150 of these rare, beautiful Tobacco Burst guitars will be made. 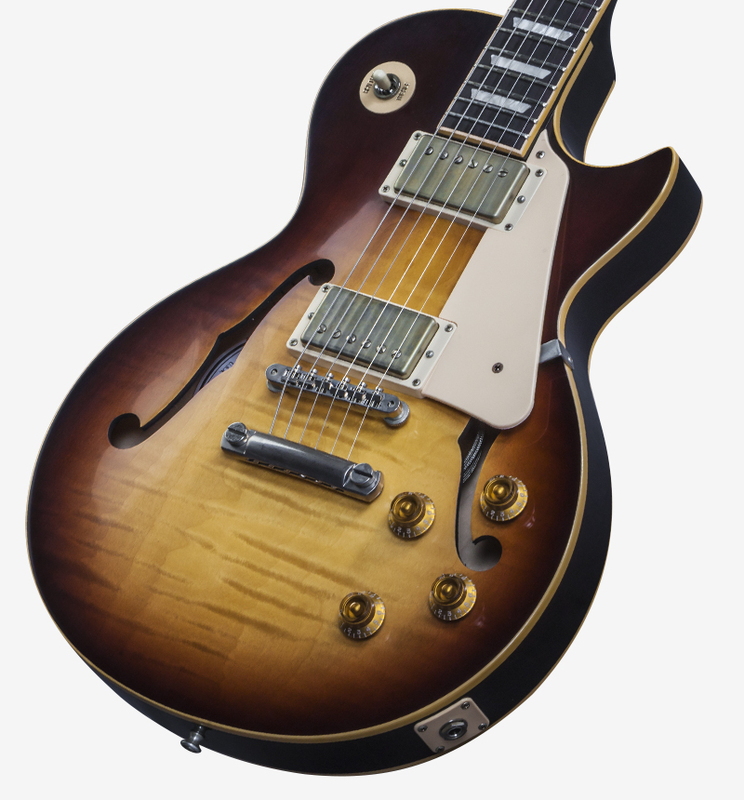 1959 Les Paul styled Round Profile Neck The rounded neck provides an ergonomic feel and the mahogany adds a rich tonal quality. 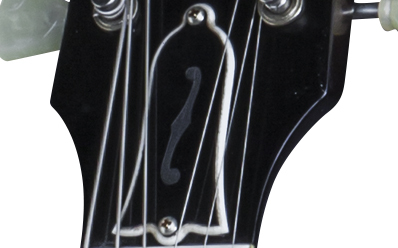 Gibson Memphis truss rod cover The f-hole engraving links our 2016 to the greatest Gibson semis of all time. 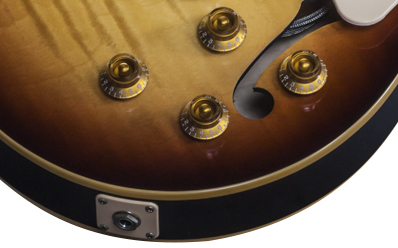 Hand-buffed high-gloss finishes The Tobacco Burst finish in nitrocellulose lacquer is given the time and attention to make it look better than ever. 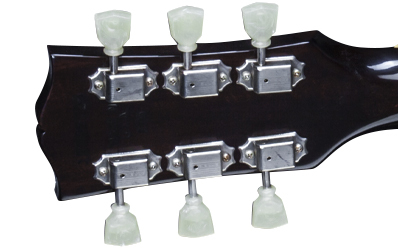 Bone nut Bone is still the preferred material of custom luthiers the world over for the most resonance- and tone-enhancing nuts. 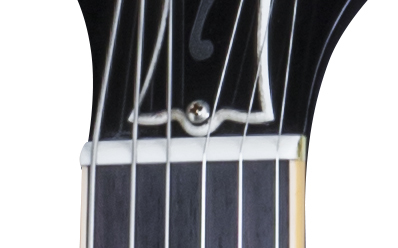 Our best truss rod Historic specifications with no tubing improve performance and enhance this truss rod's contribution to resonance and sustain. 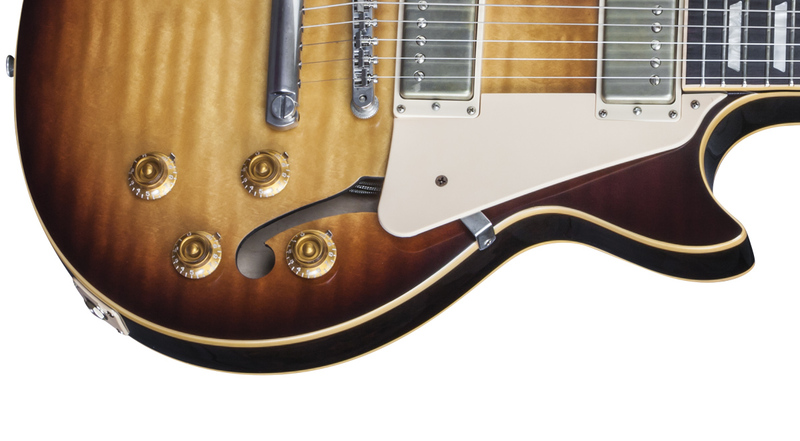 Improved playing feel We "break" or "roll" our binding into the neck profile for a superbly comfortable feel at the edges of the neck. 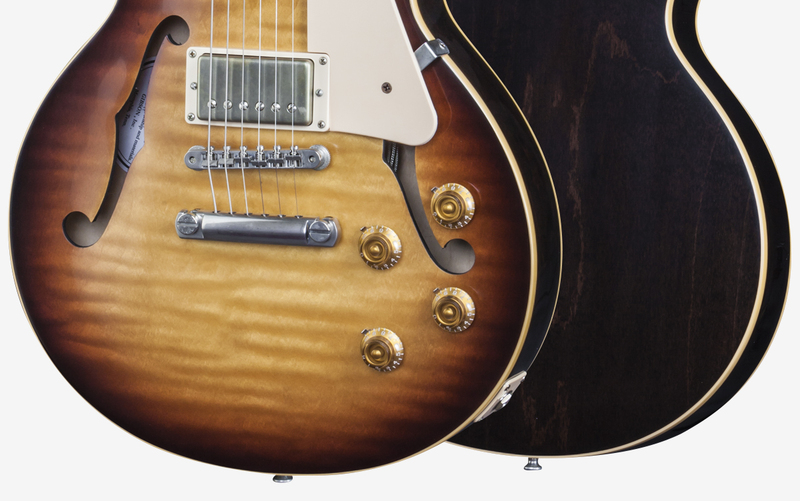 Better frets Gibson Memphis has eliminated the "speed bump" effect with lower-profile frets for a smooth playability and superb action. 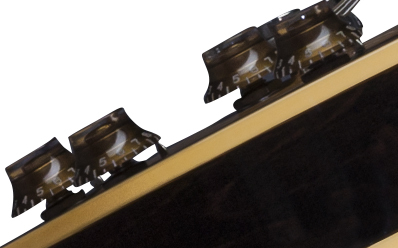 Upgraded tone capacitors Changing our neck pickup tone caps from .022mF to .015mF means less treble cut than previous capacitor resulting in a harmonically rich tone with a singing quality. 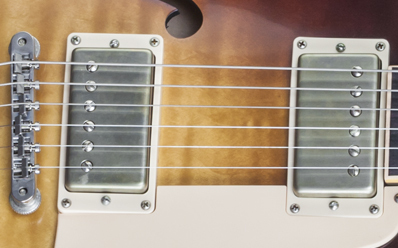 Our best PAF-style pickups yet Made with mismatched scatter-wound coils and Alnico magnets, the MHS humbuckers deliver the tones of the hallowed PAF. 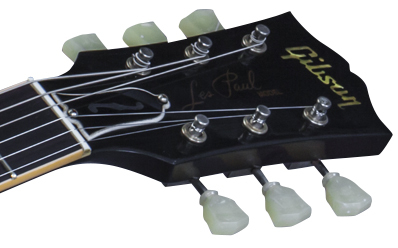 Thickness at Fret 1: 22.86 mm / .900"
Dimensions: Large: 16.51 mm x 29.718 mm / 0.66" x 1.17 "
Small: 6.096 mm x 39.624 mm / 0.24 " x 1.56 "
E: 1.2268 mm / 0.0483"